I'm beyond thrilled to see SNAP TO GRID finally hitting the shelves! Honestly, I've never had so much fun sewing with a collection before! When Kim Kight asked me to sew for her 80's inspired Spring 2017 collection I happily through myself into the design challenge. 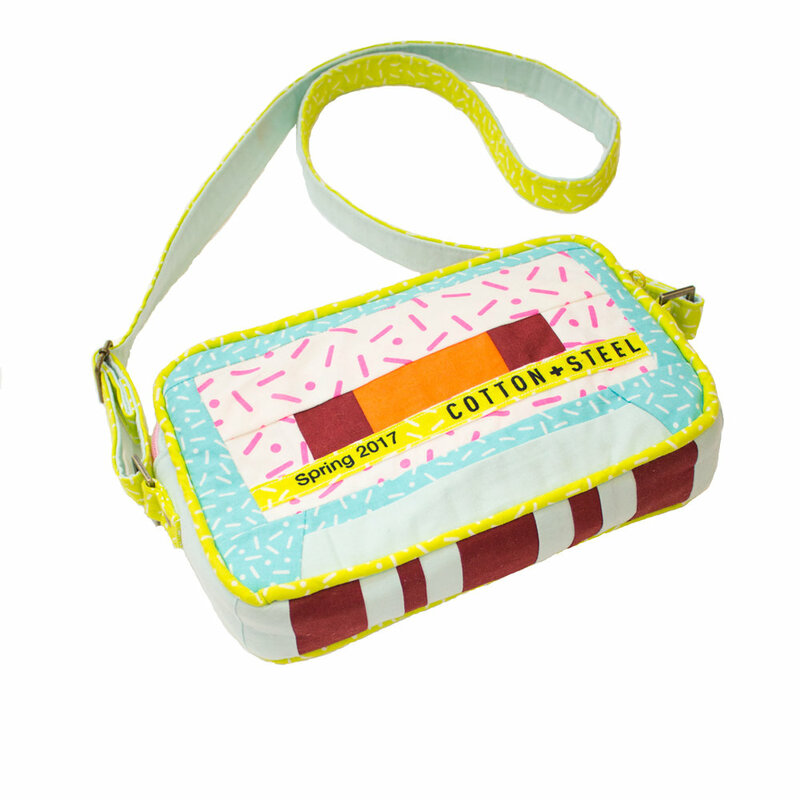 I had planned to make a SEWING MACHINE BOOMBOX at some point BUT when I saw this collection it just HAD TO HAPPEN! And with many cheers of, "I want to make one too!!"... I'm pleased to release the official BOOMBOX SEWING MACHINE COVER TUTORIAL today! You to can get it HERE. Cotton + Steel have the BEST selvages, am I right?! Which lends themselves so well to the The CASSETTE TAPE mini quilt cassette labels AND it allowed me to showcase ALL of the collection! FUN FACT: Jonna came up from Washington to sew this quilt with me! There were many giggles, squeals and most importantly much dill pickle dip! 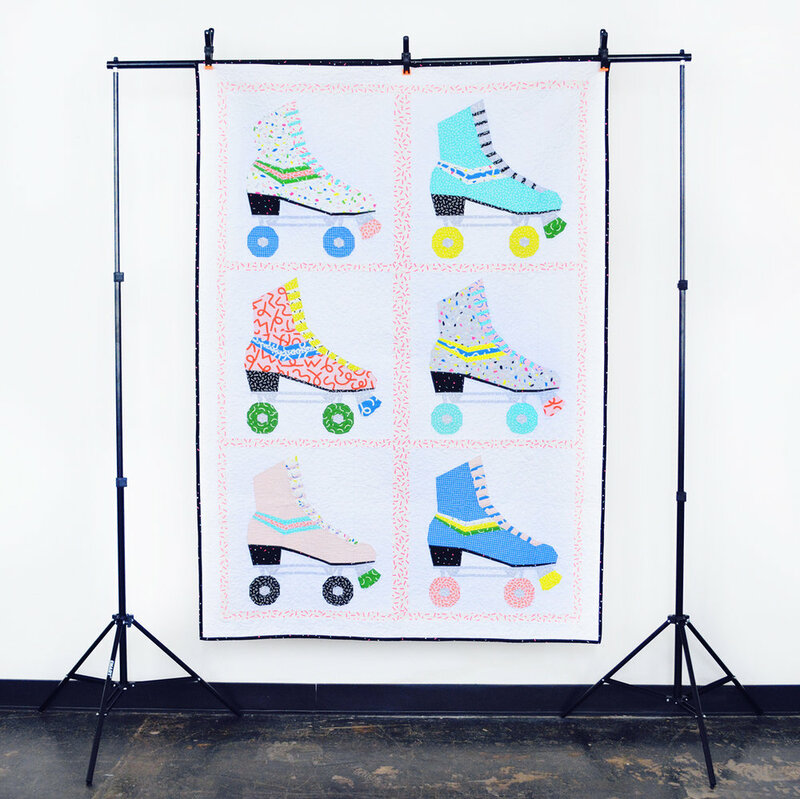 Speaking of endless possibilities with this collection, you saw Kerry Goulder's Hot Skates Quilt right? SO GOOD! When I went to Spring Market this past May, I wanted to take some bags with me sewn in the Snap to Grid collection BUT I had run out time. Instead of scrapping the idea I commissioned Reece Montgomery (www.happyokapie.ca) and Sherri Chalke to make some. Reece modified Sara Lawson's Polaris Bag along with my CASSETTE TAPE pattern piece "D". The result was this stunning bag! I HEART IT SO MUCH! It makes me SO happy just to look at it! Sherri and I went to Quiltcon 2016 together. For the trip she had made a bag using Sonja Callaghan's, Bag PDF Pattern AND CASSETTE TAPE pattern pieces (I posted about it HERE). I've always loved Sherri's bag, so you know what I asked her to do right. The bag was PERFECT for the trip. I was always getting stopped in the isles with people asking about it. Phew! So much to chat about this week. And I haven't even mentioned the SNAP TO GRID thread pack. Gah!!! How do Cotton + Steel always get it so right?! RECOMMEMDED FOR YOUR PLAYLIST: Just like the Snap to Grid collection, the possibilities are endless... so I've settled on, THE CURE: Friday I'm in Love. Happy week everyone! BOOMBOX PATTERN COMPLETE! WOO HOO! It's done. Holy smokes! It's done! 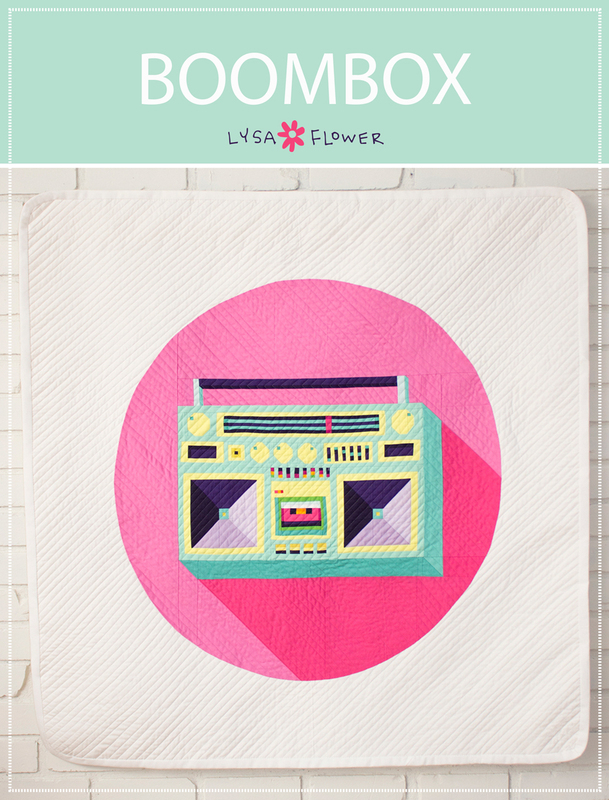 The Boombox quilt pattern is done! WOW! A LOT has happened in the past few months. In February Kim Kight, co-founder of Cotton + Steel, invited me to sew for her new Snap to Grid Spring 2017 Collection! There was (again) A LOT of secret sewing going on-whoa doggie! And then there was Quilt Market! That was a check off my bucket list moment! I'm still processing it all. That lovely lady on the left is Kerry Goulder. She did the awesome #HotSkatesQuilt behind us. I can't wait to make it! I'm thrilled I can finally share everything with you! One project was my Boombox Sewing Machine Cover. Originally, I had a tutorial planned but then I thought, you know what would be even more fun?! A sew-a-long!! It starts next Tuesday, June 6 and will go for eight weeks. Step 1: Subscribe to my newsletter to receive weekly instructions. New subscribers get 10% off my ETSY patterns! BONUS! Step 2: Pop over to ETSY (or Craftsy, I'm on there too now. YAY!) 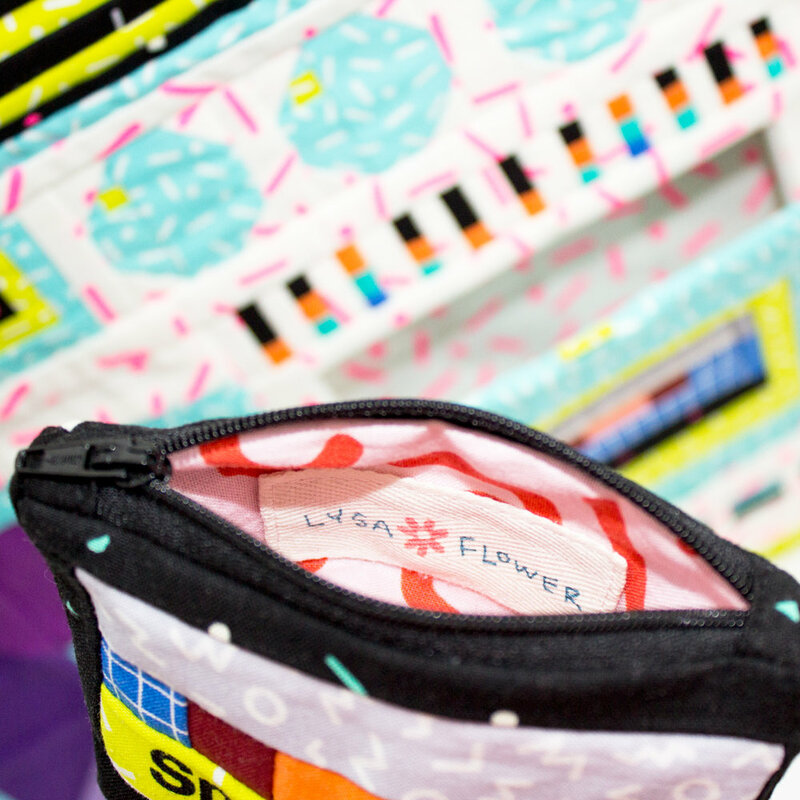 pick up the Boombox Quilt Pattern and if you want to make the cassette zippy pouch that goes inside the Boombox, you'll need to pick that up too. 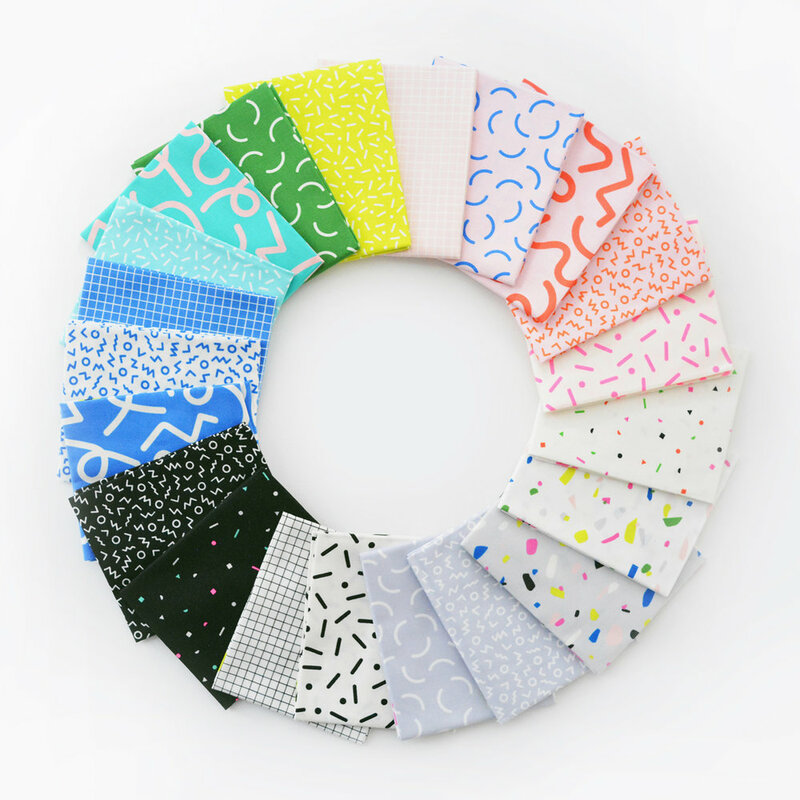 Post your completed Boombox sewing machine cover by July 30th midnight PST to either site and win a Sulky Snap to Grid thread pack! It's dreamy. 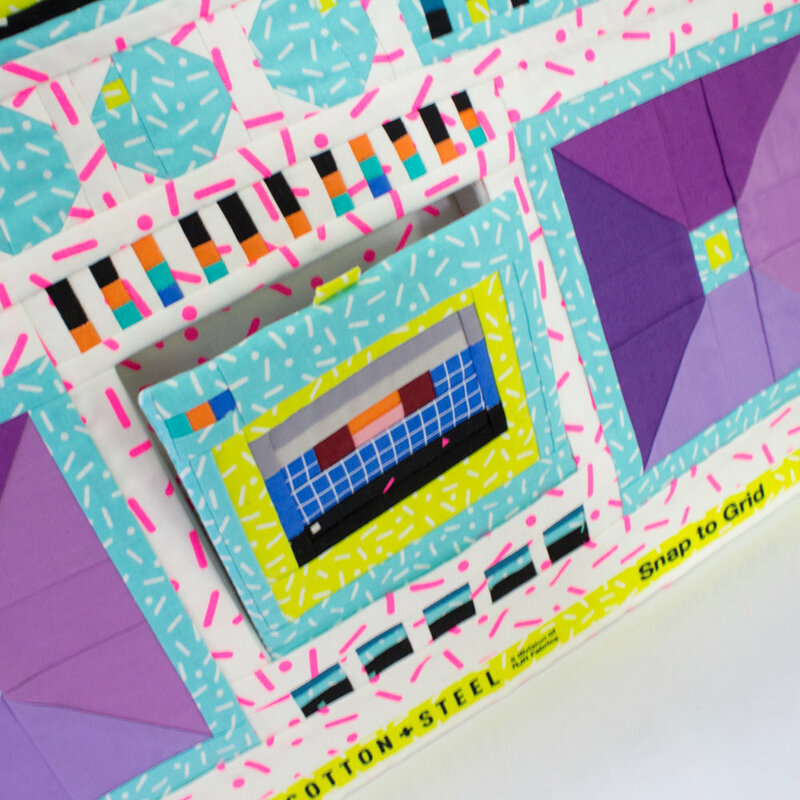 Please note: for the Boombox pattern it's important to have some experience with paper piecing. Any keeners out there? I'll have the schedule written up for next week BUT if you want to get your party started early, the fabric requirements in the quilt pattern are the same for the sewing machine cover, up until the "Face of the Boombox and handle". Stop when you get to there. Until then, enjoy the coloring/planning page! This is going to be, to quote Cypress Hill, "insane in the membrane!" fun! I added the fun part (wink). P.S. Yes that is a cassette book cover. And yes a tutorial is coming for that too!